Weapons: Grinder is outfitted with a circular saw-like device on his helmet that he uses as a weapon and to deflect attacks. He also wields other saw-like blades for throwing and in hand-to-hand combat. Flight: Grinder is able to fly. Brute Bashby was a petty criminal who was recruited by the sensationalist newspaper publisher Rupert Dockery. 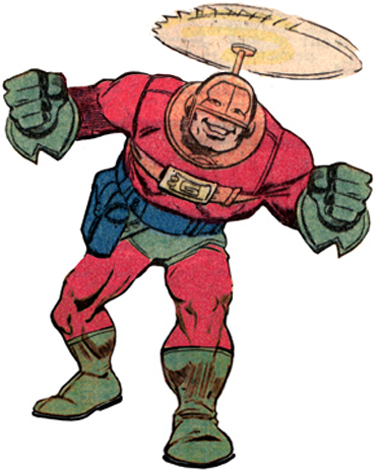 He outfitted him with a costume and special weaponry so that he could battle Spider-Woman, so that Dockery's newspaper could cover their battles.